Climate Controlled Indoor Waterpark featuring 3 Story Waterslides, 500 Gallon Dump Bucket, Interactive Play Areas, Lazy River and more! Make a splash during your vacation at Castle Rock Resort and Indoor Water Park, a quick 2 miles from Dolly Parton’s Stampede Dinner and Show. 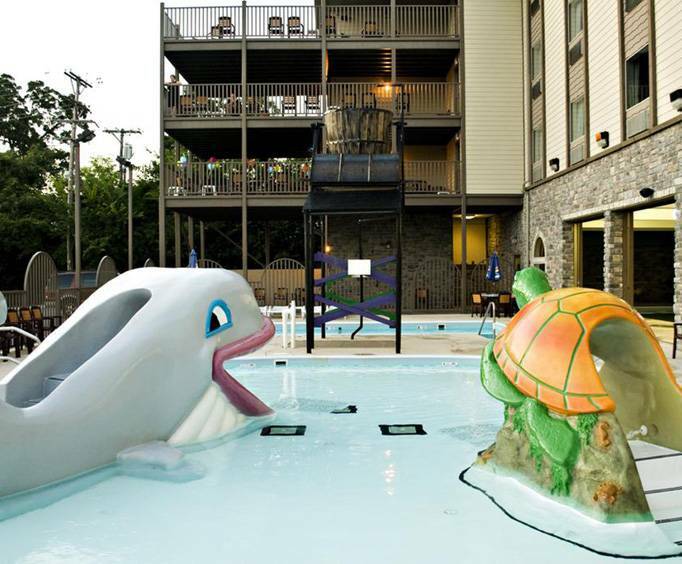 Spend some time in the water with amenities like indoor and outdoor pools, water slides, and a relaxing lazy river, and remember the Tower Grill, Castle Rock’s on-site restaurant. The hotel rests only a few minutes' drive from attractions such as White House Theatre, Table Rock Lake boating access, Chinese Acrobats and the Butterfly Palace. The Castle Rock Resort and Indoor Water Park features more than 190 rooms in both of their tower and atrium buildings which belong to the resort. Rooms that fit up to six people per night are available in addition to traditional guest rooms with two queen beds. The resort features both indoor and outdoor water parks, which guests are able to get access to when booking a water park vacation package. The hotel is also home to the Tower Grill, an on-site restaurant, and has a convenient meeting space, perfect for meetings, reunion functions, birthday parties, and other events. The largest banquet room can accommodate up to 80 guests. Water park hours do fluctuate and is only open on weekends throughout the rest of the year. The amenities and features that the hotel offers are not limited to the pools, slides and parks. Each room features a coffee maker to start your day off right and complimentary local calls, hair dryer, iron and ironing board. Free Wi-Fi Internet is available in most public spaces to keep you connected. Some rooms are also equipped with refrigerators and microwaves to help make your stay that much more pleasant. If you are interested in going out for a bite to eat, Subway, Florentina's Ristorante Italiano and Baldknobbers Restaurant are all located within a half mile of the resort. 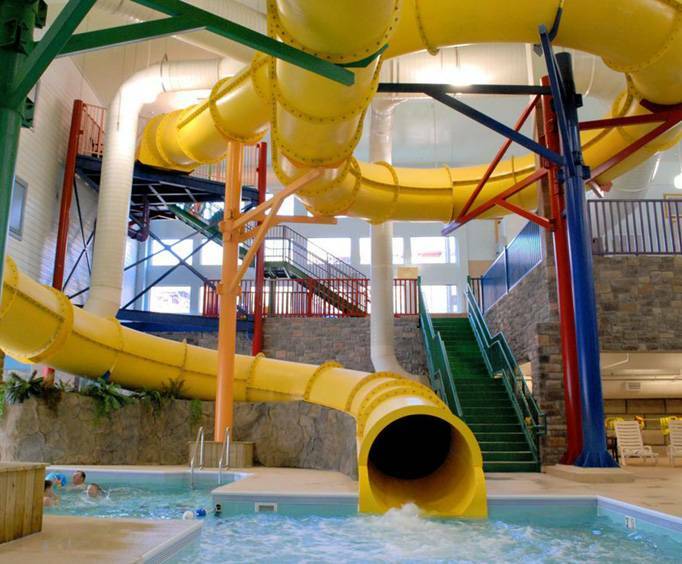 With the addition of shopping at Green Mountain Plaza a mere 500 feet away, Castle Rock Resort and Indoor Water Park is the ideal destination for your next trip. The motel room was clean and neat. The beds were comfortable and the staff and service were great! Plans are already being made to return to castle rock resort next year. Room cleanliness was not what it should have been, but it was not bad.They were very prompt bringing us a mini fridge and microwave combo. We did not realize it would be full of kids, but that's ok. They charge you six bucks for a locker in the pool room, and you must use a credit card, you can't just take money with you, which was inconvenient.I did not want to walk back to the room to get a credit card. Even disney is not that expensive! Disney charges 5 bucks, and you get a key from a concessionaire. Castle rock was not a bad place, if you have little kids, but stay in the main building, and make sure you specify the package that lets you use the water park facility. We saw plenty of people have to pay more than we did, to use the facilities because they did not know to do this. Using the vacations made easy did save us money, and we did have tickets to the park, even though i just wanted to go swimming. The restaurant was not too bad, but it is easier to bring your own stuff.